Your hosts, INFLITE Charters, are New Zealand’s largest private flight company and their fleet of helicopters provide the ultimate in comfort and safety. 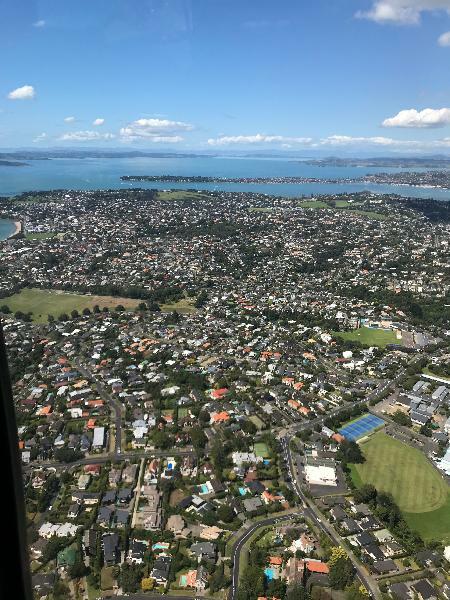 Come and see Auckland from the best vantage point possible and book your scenic flight today! Departures: Your flight will depart from Auckland's Rosedale Heliport on the North Shore, 234 Rosedale Road, Auckland. Please note: Flights require a minimum of 2 persons to operate on a shared basis. .... best you can do to start a visit in Auckland! Was amazing, a beautiful day with a gorgeous view. Highly recommend. This is a great way to see Auckland and the volcanoes. Great pilot and friendly staff , hugely recommended. Your message has been sent to Volcanoes & Beaches - 18 Minute Scenic Helicopter Flight. You should hear from them shortly. Please note: all responses will come directly from Volcanoes & Beaches - 18 Minute Scenic Helicopter Flight, and not the team at Bookme.